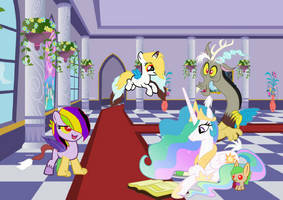 Princess Celestia reading a story without Twilight. *EDIT 2*: Fixed mane gradient positioning error. I'm making this my profile pic on Goodreads! Used it here [link] three times (twice edited) Thanks!